How Fast WordPress Can Load ? Have you ever thought what speed default WordPress Installation have the page loading Speed? Its just below one second. So a plain HTML page and an optimized WordPress Installation loads at the same speed. Quite obviously, not all can optimize it to such a level. How Fast WordPress Can Load depends on the Cloud Server, Content Delivery Network, Cloud Loadbalancers, Cloud DNS, the Theme Framework and who are optimizing the installation. How Fast WordPress Can Load ? With default WordPress Theme, Full Cloud infrastructure of Rackspace and optimization with our WordPress Managed Hosting, it can load within 0.986 seconds – See How Fast WordPress Can Load. Basic facts behind How Fast WordPress Can Load has been already written though various articles on Page Speed. This article on How Fast WordPress Can Load is not advertisement article for our WordPress Managed Hosting, there are various more effective ways to promote our branding but this is to point few important factors. Money can not buy many things – likewise how fast WordPress can load is not dependent on money. It is a matter of fact with $12 / month you can use a Cloud VPS from Rackspace and use Rackspace Cloud Files at only $2 / month. The excellent free WordPress Cache Plugins can make this possible with some tweaks. Again and again we have pointed out – unless you need a secure website for commercial purpose like banking, there is no need to spend $200 or more on a physically crap dedicated server with very limited RAM. Loadbalancers are not expensive and not needed by all. We should be thankful to Cloud Computing to make everything so cheaper, Matt Mullenweg for developing such a great CMS like WordPress, developers of excellent cache plugins like W3 Total Cache, WP Super Cache and yes – Open Source as a whole – from the Server Operating System, Open Stack, WordPress, WordPress Plugins and Themes. This Article Has Been Shared 2739 Times! Abhishek Ghosh is a Businessman, Orthopaedic Surgeon, Author and Blogger. You can keep touch with him on Google Plus - Abhishek Ghosh1 and on Twitter - @AbhishekCTRL. We got hacked is nothing new news, almost all regular visitors knows it. But we have learned many points which will help you to protect your WordPress Blog. 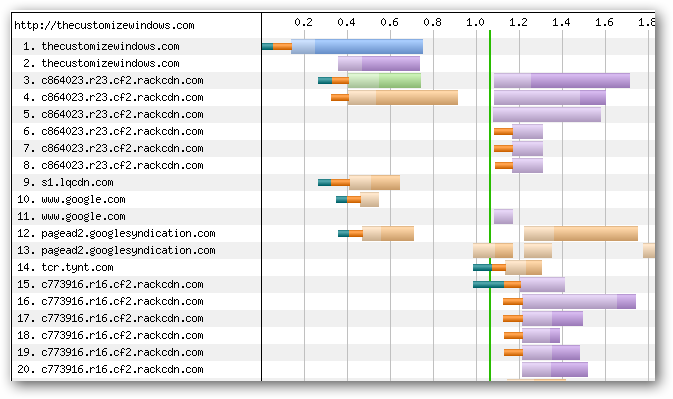 Urchin is an advanced web analytics tool from Google. Webmasters can track IP, DNS, Bandwidth consumption to robot visits with Urchin. WordPress Tutorial Series is both for the new and power WordPress users. Working with FTP Folder Content is an important part of management of WordPress. Managing and Delivering Podcast Audio and Video From WordPress can be easily be done in an advanced setup plus you can use CDN or deliver YouTube Video as well. Adding Schema.org Structured Data in Genesis Theme without using any plugin is quite easy as Genesis has great documentation and has excellent existing markups. Additionally, performing a search on this website can help you. Also, we have YouTube Videos. We'd love to know your thoughts on this article. Meet the Author over on Google+ or Twitter to join the conversation right now! If you want to Advertise on our Article or want Business Partnership, you are invited to Contact us. You can subscribe to our Free Once a Day, Regular Newsletter by clicking the subscribe button below. Click To Subscribe Please Confirm the Subscription When Approval Email Will Arrive in Your Email Inbox as Second Step. Our Homepage is best place to find popular articles! Looking to publish sponsored article on our website? Cite this article as: Abhishek Ghosh, "How Fast WordPress Can Load : Our Optimization Results," in The Customize Windows, March 3, 2012, April 21, 2019, https://thecustomizewindows.com/2012/03/how-fast-wordpress-can-load-our-optimization-results/. PC users can consult Corrine Chorney for Security. Want to know more about us? Read Notability and Mentions & Our Setup.